Wienerberg City is a modern, new city district that offers an outstanding environment in which to live and work. Part of Wienerberg City is the Business Park Vienna with its striking Twin Towers, which by now form a characteristic part of Vienna’s cityscape. Quality of life is at the top of the list here: a diverse mix of shops, gastronomy and recreational opportunities ensure a harmonious feeling of well-being. The local recreational area Wienerberg, situated just nearby, guarantees a diverse and easy-going leisure offer right at your doorstep. The Wienerberg boasts a well-developed hiking, running and cycling network, the Wienerberg lake, forest playgrounds, outdoor sports playgrounds for streetball, football, beach volleyball, signposted sunbathing lawns and dog zones. Also, located in the immediate vicinity, you will find the Wienerberg Golf Club. 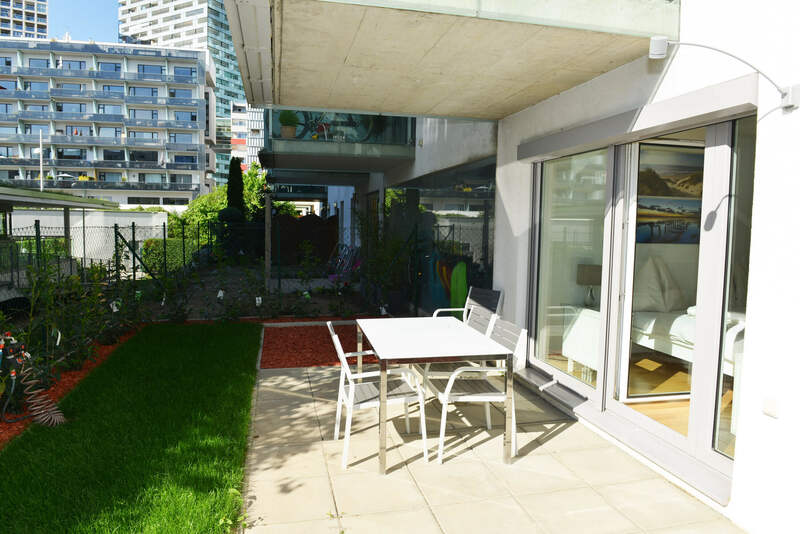 In this modern, highly liveable environment, we have also recently expanded our offer to include a brand-new 65 m² apartment with a garden of 48 m². 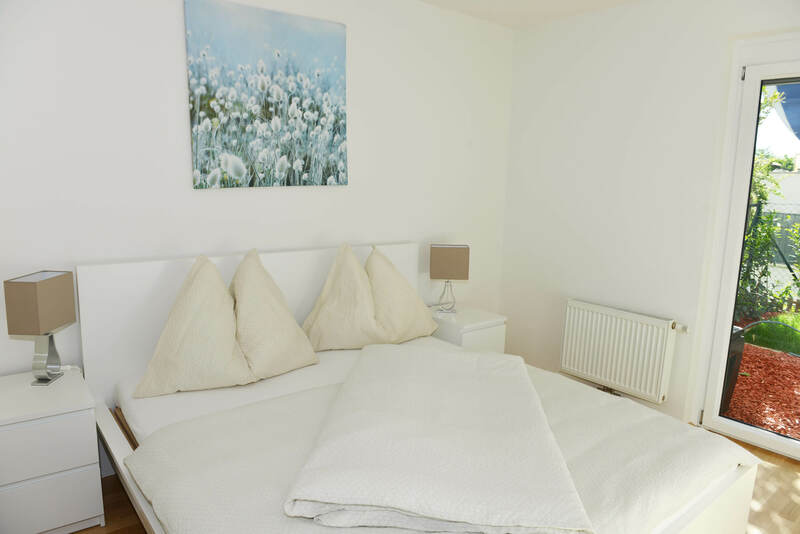 The apartment is located in a tranquil inner courtyard, has two brightly lit bedrooms with outside blinds, each with direct access to the sunny garden, two bathrooms, and a pleasant, open eat-in kitchen. 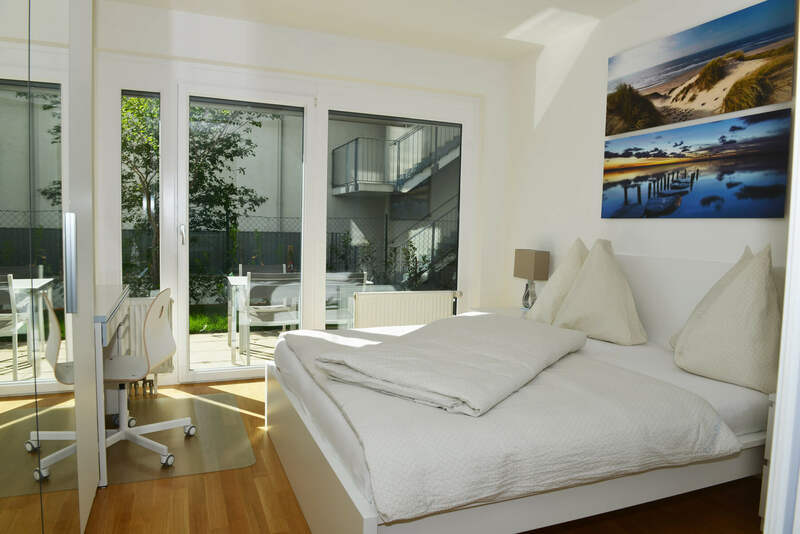 The apartment is fully furnished and equipped; for example, it also includes TVs with a cable connection and WLAN internet. Bus line 7B takes you directly to the U-Bahn line 6, stop Meidling, in a little under fifteen minutes.